When Moses was in the presence of God that time on the mountain, something happened to him that was, quite literally transformative. Beams of light radiated from the skin of his face as he descended the mountain. The word used for the beam of light – “karan”- is connected to a word we are more familiar with – “Keren”, meaning a horn. The Vulgate, the Latin translation of the bible followed Jerome, one of the Church Fathers, who had misunderstood the difference and so of course artists such as Michelangelo and Donatello who read the texts in Latin, depicted Moses as having horns. And this anti-Semitic stereotype of the devilish Jew has been with us ever since – I can remember one of my childhood rabbis being challenged at a school visit to take off his kippah and show the class the horns that were surely hiding beneath it. 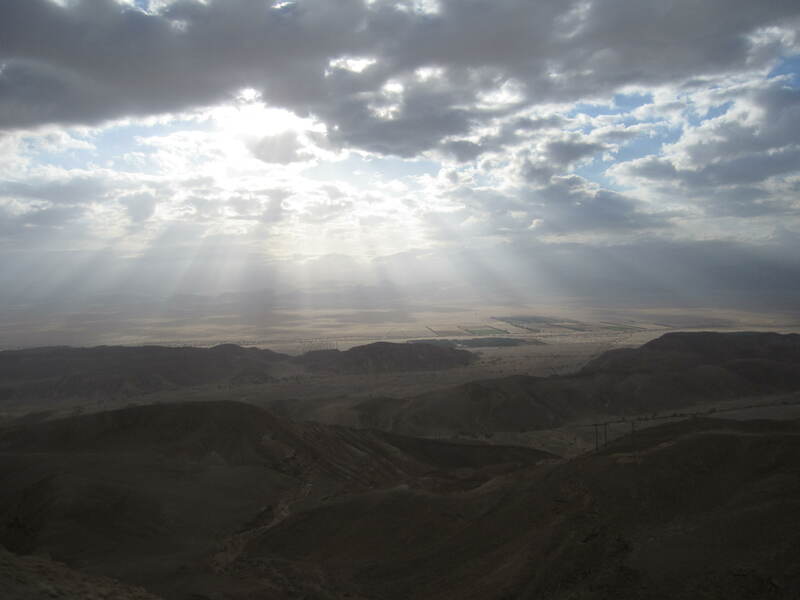 The rays of light that the bible describes are presumably something that distinguished Moses as having had a particularly close encounter with the Divine – they are more often seen as halos or auras in religious paintings from other faith traditions. So it is particularly poignant that this physical sign of Moses’ experience of God became the source of historical racism and ignorance about Jews. But there is another aspect to this tale that is not well understood and from which we can take a more positive lesson. Moses was entirely unaware that his skin was radiating light as he came down from the mountain. He had been in close communion with God, had been offered for only his descendants to survive, had argued with God, had become violently angry when confronted by the idolatry of the people, had gone once more to God and had spent a very long time creating the second set of the Ten Commandments. He had gone from ecstatic high to terrible low, from great joy to great fury and back; he had been transformed by the journey he had undergone – and he did not know it. Moses was, we know, a man who felt he would not be a great leader when God approached him at the burning bush. We are explicitly told of him that he was modest. He clearly spent a lot of his time in self-doubt and uncertainty, and that humble self-image was fuelled by the rebellions and mutterings against him of the Israelites. He did not in any was ‘do’ self-aggrandisement. He simply didn’t notice that his skin was radiating great light. And that is the nub of the story – rather like the burning bush which would have taken time and observation in order to see was not being consumed, the truly transformative events are often not the ones we especially notice at the time. And the truly great person gets on quietly and efficiently with the business in hand, rather than brags or boasts or swaggers to make sure everyone else pays enough attention. This entry was posted in parashat hashavua and tagged horns of Moses, karnaim, ki tissa, Moses, rays of light by sylviarothschild. Bookmark the permalink.